Scott was born and raised in Rosthern, Saskatchewan, where he graduated from Rosthern Junior College in 1998. Scott received a Bachelor of Commerce (with Great Distinction) from the University of Saskatchewan in April 2002, and his Juris Doctor from the University of Saskatchewan in 2005. Scott joined the firm in 2006. 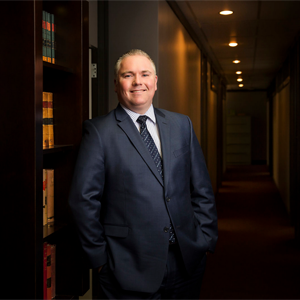 Scott has a general practice, with his primary areas of practice being business and corporate law, wills and estates, criminal law and civil litigation, with both criminal and civil litigation experience in both Provincial Court and Court of Queen’s Bench. Scott also travels to our Rosthern office and is available to meet with clients in Rosthern at their request. Scott is married with two children. Outside the office Scott enjoys golfing, skiing and enjoying the lakes north of Prince Albert.